Mecho Light Components (Chengai) Pvt. Ltd. an ISO 9001:2008 accredited company is engaged in the manufacturing of sheet metal auto parts. We have been leading the highway to success and have set milestones as one of the renowned deep drawn parts manufacturers from India. 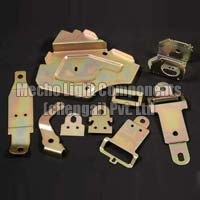 Mecho Light Components (Chengai) Pvt. Ltd was incepted in the year 1995 with the primary intent to deliver acme quality products like deep drawn parts, engine mounting parts and sheet metal pressed parts. Under the sharp leadership and cumulative effort of our CEOs Mr. N.D.Raju and D.R. Balakumar we have attained an invincible position in the market. © Copyright 2009 - 2010. 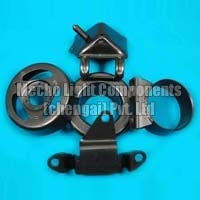 Mecho Light Components (chengai) Pvt. Ltd.